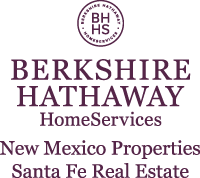 Above a certain price point (let's say 500k) the Santa Fe real estate market attracts buyers who can be both impulsive and discretionary in their decision making process. If you are attempting to sell your property locally you need to have your 3 P's in order. Simply stated, if you have a a great property that presents well, and have it priced properly, and is in a highly sought after place (location), our current market (Summer 2107) will buy it and quickly. If one of your P's is either out of line or can't be helped, one or more of your other P's must be adjusted if you want to sell.